ARLINGTON, Va., April 9, 2019 /PRNewswire/ -- On April 11, 2019 the U.S. Army will announce a new recruitment marketing effort, "In Our Boots", which for the first time ever allows prospects to step into the boots of a U.S. Army Soldier and experience a series of high-intensity, virtual reality missions. 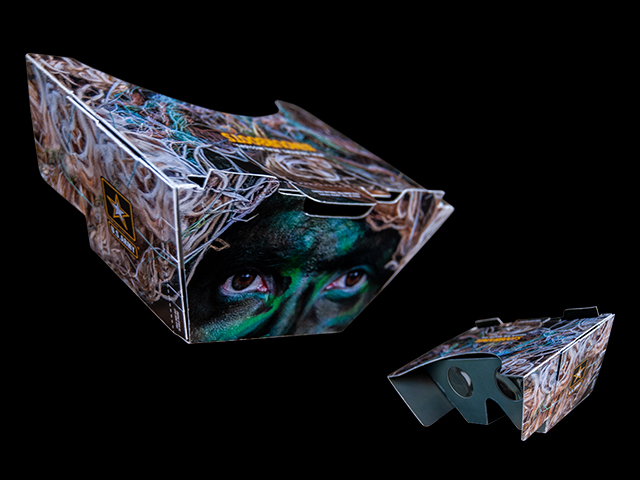 Within this one-of-a-kind virtual reality experience, users can see, hear and feel what it is like to be a U.S. Army Soldier and witness their drive, determination and teamwork.. Recent studies have shown that 50 percent of young Americans know little to nothing about the military. By engaging in the immersive virtual reality of "In Our Boots," they will be able to experience first-hand what it is like to be a Soldier in the U.S. Army on a mission with their team. "Based on actual missions, this campaign, bridges the knowledge gap and gives prospects a glimpse into what to expect if they choose to serve in certain career fields," said Maj. Ruth Castro, AMRG spokesperson. "We expect the interactive VR experiences will both inspire and inform brave young men and women when it comes to considering a future in the U.S. Army." 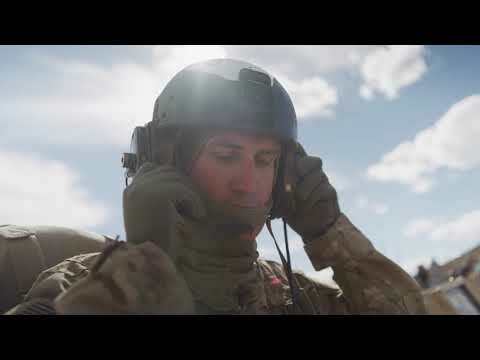 At its core, the campaign's first-person storytelling and 360-degree video series offer a unique and authentic look at not only the versatility, lethality and readiness of today's U.S. Army, but also how U.S. Army Soldiers utilize teamwork and extensive training to overcome even the most extreme obstacles. It is an illustration of the many ways the U.S. Army prepares and adapts to meet ever-changing and complex demands. The integrated campaign can be experienced through the interactive campaign landing experience [goarmy.com/inourboots] or "In Our Boots" app that will be available for download on iOS, Google Play and Oculus GO stores. About AMRG: The Army Marketing and Research Group (AMRG) is the U.S. Army's national marketing, marketing research and analysis and accessions analysis organization. The AMRG develops innovative and effective ways to: connect with the American public to make the Army more accessible and understood; increase awareness of both the benefits and value of Army service; and motivate the most qualified candidates to choose the Army as their service of first choice.